Historically, French political events tend to mark epochs and clarify dichotomies, starting with the waning distinction between “left” and “right”. This election may be such an event. It has become increasingly clear that the trans-Atlantic power elite have long since decided that traditional representative democracy is no longer appropriate for a globalized world based on free circulation of capital. Instead, the favored model is “governance”, a word taken from the business world, which refers to successful management of large corporations, united in a single purpose and aiming at maximum efficiency. This origin is evident in aspects of political governance: an obligatory unanimity concerning “values”, enforced by corporate media; the use of specialized committees to provide suggestions concerning delicate issues, a role played by “civil society”; the use of psychology and communications to shape public opinion; isolation of trouble-makers; and co-optation of leadership. These features increasingly describe political life in the West. In the United States, the transition from democracy to governance has been managed by the two-party system, limiting voters’ choice to two candidates, selected and vetted by principal shareholders in the national business on the basis of their commitment to pursuing the governance agenda. This was going smoothly until Hillary Clinton, the overwhelming favorite of the entire elite, was shockingly defeated by an unvetted intruder, Donald Trump. The unprecedented negative reaction throughout the West shows how little the global governance elite is ready to cede power to an outsider. The situation in the United States remains uncertain, but the upset reflected rising, although poorly defined, popular resentment against the globalizing governors, especially due to economic inequality and the decline of living standards for much of the population. The first way to spot the role assigned to Macron is simply to glance at the media: the endless magazine covers, puff pieces, platitudinous interviews – and never a word of criticism (whereas his leading rivals are systematically denigrated). In January, Foreign Policy introduced its readers to Macron as “The English-Speaking, German-Loving, French Politician Europe Has Been Waiting For”. His career trajectory makes it clear why Western mainstream media are hailing Macron as the Messiah. Born in Amiens only 39 years ago, Emmanuel Macron has spent a lot of his life in school. Like most of France’s leaders, he was educated in some of the best, but not the best, of France’s elite schools (for connoisseurs, he failed entrance to ENS but did Sciences Po and ENA). U.S. media seem impressed by the fact that along the way he studied philosophy, which is no big deal in France. In 2004 he passed the competitive exam to be admitted to the Inspection Générale des Finances, one of the corps of experts that have distinguished the French system since Napoleon. IGF inspectors have lifetime security and are assigned as economic advisors to government officials or private entities. In the IGF he gained the attention of the particularly well-connected senior official Jean-Pierre Jouyet, who recommended him to Jacques Attali, the most spectacular of the intellectual gurus who for the past 35 years has regaled French governments with his futuristic visions (Jerusalem as capital of a future world government, for example). In 2007, Attali co-opted Macron into his super-elite “Commission for the Liberation of Growth”, authorized to provide guidance to the Presidency. A star was born – a star of the business world. The Attali commission prepared a list of 316 proposals explicitly designed to “install a new governance in service of growth”. In this context, “growth” naturally means growth of profits, by way of measures cutting back the cost of labor, tearing down barriers to movement of capital, deregulation. The 40 elite members planning the future of France included heads of Deutsche Bank and the Swiss firm Nestle. They also provided the young Macron with a valuable address book of useful contacts. In 2008, on recommendation from Attali, Macron was taken into the Rothschild Bank at a high level. By negotiating a Nestle purchase worth nine billion dollars, Macron became a millionaire, thanks to his commission. To what did he owe a successful rise that two centuries ago would have been a subject for a Balzac novel? He was “impressive”, recalls Attali. He got along with everyone and “didn’t antagonize anyone”. Alain Minc, another star expert on everything, once put it this way: Macron is smart, but above all, he makes a good banker because he is “charming” – a necessary quality for “a whore’s profession” (“un métier de pute”). So Macron has launched his career on the basis of his charm and “vision” – he certainly has a clear vision of the way to the top. This path is strewn with contacts. The governance elite operates by co-optation. They recognize each other, they “smell each other out”, they are of one mind. Of course, these days, the active thought police are quick to condemn talk of “governance” as a form of conspiracy theory. But there is no conspiracy, because there does not need to be. People who think alike act together. Nobody has to tell them what to do. And people who decry every hint of “conspiracy” seem to believe that people who possess immense power, especially financial power, don’t bother to use it. Instead they sit back and tell themselves, “Let the people decide.” Like George Soros, for instance. In reality, people with power not only use it, they are convinced that they should use it, for the good of humanity, for the good of the world. They know best, so why should they leave momentous decisions up to the ignorant masses?That’s why David Rockefeller founded the Trilateral Commission forty years ago, to figure out how to deal with “too much democracy”. These days, ideologues keep the masses amused with arguments about themselves, which identity group they belong to, which gender they might be, who is being unfair to whom, who it is they must “hate” for the crime of “hating”. Meanwhile, the elite meet among themselves and decide what is best. Thanks to Jouyet, in 2007 Macron was co-opted into a club called Les Gracques (after the Roman Gracchus brothers), devoted to “values” based on recognition that the Keynesian welfare State doesn’t fit globalization and European Union development. 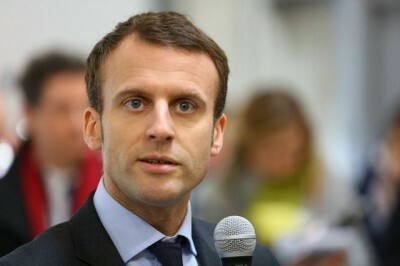 In 2011, Macron was co-opted into the Club de la Rotonde, which undertook to advise President Hollande to hit France with a “competitiveness shock” – favoring investment by lowering public expenses and labor costs. In 2012, Macron was welcomed into the French-American Foundation, known for selecting the “young leaders” of the future. In 2014, Macron made it to the really big time. On May 31 and June 1 of that year he attended the annual Bilderberg meeting, held in Copenhagen. This super-secret gathering of “governance” designers was formed in 1954 by Prince Bernhard of the Netherlands. No journalists are allowed into the Bilderberg gathering, but leading press barons are there to agree on the consensus that must be spun to the masses. And Policy? Program? What’s That? With all these credentials, Macron went from being an economic advisor to François Hollande to Minister of Economy, Finance and Digital Industry, under Prime Minister Manuel Valls, where he vigorously promoted the Attali agency on pretext of promoting “growth”. Among other things, he reversed the position of his predecessor by approving the sale of the crown jewel of French industry, the Alstom energy sector responsible for France’s nuclear power industry, to General Electric. 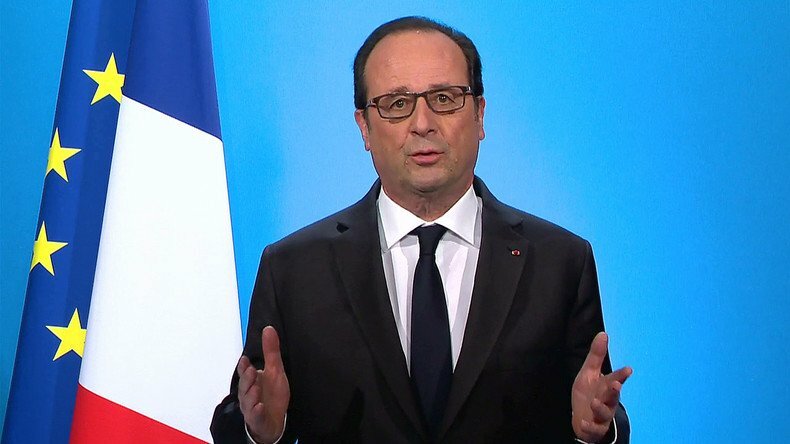 As Minister, Macron was responsible for the most unpopular measures of the entire unpopular Hollande presidency. 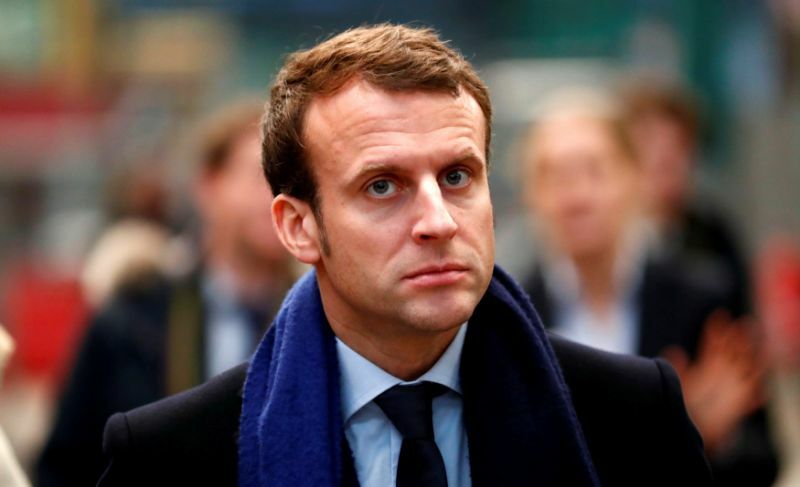 His so-called “Macron Law”, featuring massive deregulation, conformed to European Union directives but was unable to win a majority in parliament, and had to be adopted by resorting to Article 49.3 in the Constitution,which allows the Prime Minister to adopt a law without a vote. His next accomplishment was more veiled. He designed the “reform” (partial dismantling) of French labor law, presented to the public as the El Khomri Law, named after the young labor minister, Moroccan-born Myriam El Khomri. Mme El Khomri had virtually nothing to do with “her” law, except to put a pretty face and an “ethnic diversity” name on wildly unpopular legislation which sent protesting workers into the streets for weeks, split the Socialist Party and obliged Prime Minister Valls to resort once again to Article 49.3 to pass it into law. Here the story becomes almost comical. 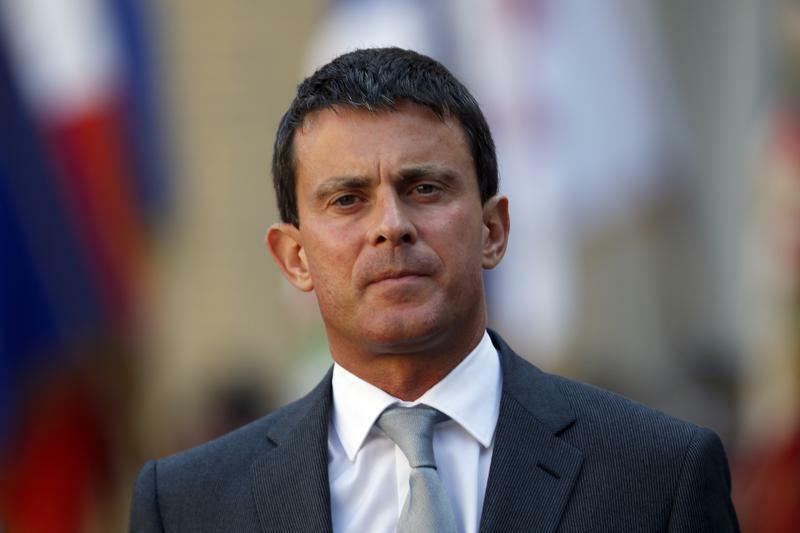 Macron’s slash and burn dash through the Hollande/Valls government virtually destroyed the French Socialist Party, leaving it divided and demoralized. This opened the way for Macron to emerge as the heroic champion of “the future”, “neither left nor right”, “the France of winners” in his new party, En Marche (which can mean “it’s up and running”). 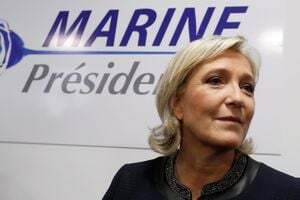 At present, Macron has risen to the top of the polls, neck and neck with the front runner, Marine Le Pen, for the April 23 first round, and thus the favorite to challenge her in the decisive May 7 second round. Being “charming” assured Macron a successful career as a banker, and the sycophantic mass media are doing their best to assure him the Presidency, mainly on the basis of his youthful charm. As never before, the press and television from which most people get their news have become not only unanimous in their choice and unscrupulous in their methods, but tyrannical in their condemnation of independent news sources as “fake” and “false”. They should be called the Mind Management Media. Objectivity is a thing of the past. There are eleven official candidates running for the office of President of the French Republic. The Mind Management Media lavish admiring attention on Macron, treat his serious rivals as delinquents, toss a few bones to sure losers and ignore the rest. Backed by the Mind Management Media, Macron is the candidate of authoritarian governance running against all the others, against French democracy itself. This is the first of two articles on the French Presidential election. Diana Johnstone is co-author of From MAD to Madness (Clarity Press), a memoir of nuclear target planning in the Pentagon by Dr. Paul H. Johnstone, her late father.